Brushing and flossing are everyday ways to keep your teeth bright, white and healthy. Still, you may feel like your smile is lacking that bright white sparkle or that it is more yellow than it used to be. 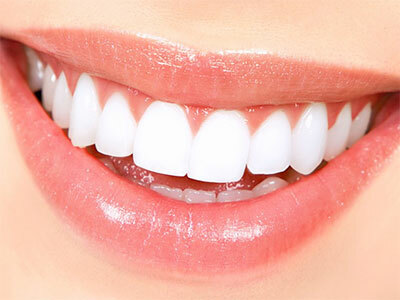 When the American Academy of Cosmetic Dentistry asked people what they’d most like to improve about their smile, the most common response was whiter teeth. Food and drink. Coffee, tea and red wine can very easily stain your teeth. The intense color pigments attach to the white, outer layer of your teeth (enamel) and cause a discoloration. Luckily, this is the easiest type of staining that can be reversed with whitening because it is the most superficial. Tobacco use. Tar and nicotine are two substances that are in tobacco that creates staining. Tar is naturally dark, and nicotine turns yellow when mixed with oxygen. Together, it will act to stain the enamel surface of teeth. Trauma. If you suffered a fall or blow to the mouth, you may notice that one or more of your teeth are beginning to change color. This is your tooth’s way of reacting to injury by laying down more dentin – the second layer of tooth underneath the enamel. Dentin is darker than enamel and this can show through your tooth. Sometimes, if the tooth is very damaged and the nerve is injured, the tooth may turn pink or even gray. 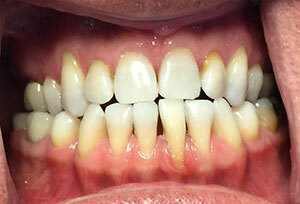 In this case, superficial whitening may not work to whiten a single tooth. 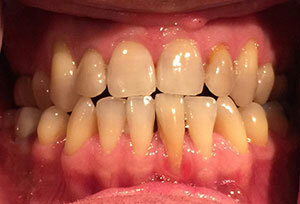 Internal bleaching or cosmetically restoring the tooth may be a better option. Age. Below the enamel surface of your teeth is a second layer called dentin. This dentinal layer is darker and more yellow than enamel. Over time, the enamel of your teeth gets thinner with wear and brushing, and the yellow of the dentin may begin to show through. Medications. Young children who are exposed to certain antibiotics like tetracycline and doxycycline during teeth formation stages (in utero or as an infant) may have discoloration of their adult teeth later in life. Certain antihistamines, high blood pressure medications, and chemotherapy treatment also may have a tooth darkening effect. Whitening products contain either hydrogen peroxide or carbamide peroxide. These bleaches break stains up into smaller pieces and makes the color less concentrated. Therefore your teeth appear whiter and brighter. No. This is why it’s very important to consult with the dentist prior to whitening your teeth. Whitening will not work on crowns or fillings, and may not be effective if your tooth discoloration is due to trauma or medications. Here at Smile Shop Dental, we offer both in-office bleaching and take-home bleaching. In-Office Bleaching requires usually only one visit. A protective gel covers your gums and then bleach is applied to your teeth. This is a much stronger concentration than what you would do with an at-home kit and most people can see a shade difference immediately. At-Home Bleaching is also an effective way to bleach, but it often has to be repeated over a course of several days. These kits come in a gel material that can be squeezed out onto a custom fit tray, or it can be gel that is already placed in a pre-made tray. The concentration is lower than what the dentist would use in-office, so it is necessary for you to be consistent with your bleaching treatment at home by using it everyday for a period of days. Some people will experience discomfort and sensitivity from teeth whitening. In most cases this sensitivity is temporary and can be treated with using a sensitivity toothpaste or applying a fluoride paste after each treatment.